Create exciting, engaging designs that your students will love. Once you place your order we work with you to design your outer cover. We will usually send an initial idea based on what your brief and then work with you to refine the design from there until you are happy. Standard books include the option to print different outer covers for each subject (this does increase the price due to extra printing plates being required). Choose images or graphics from our stock library to make your books look awesome. We send a PDF proof for you to approve before we print anything. Add content to your inside covers that your staff and students will need every day. 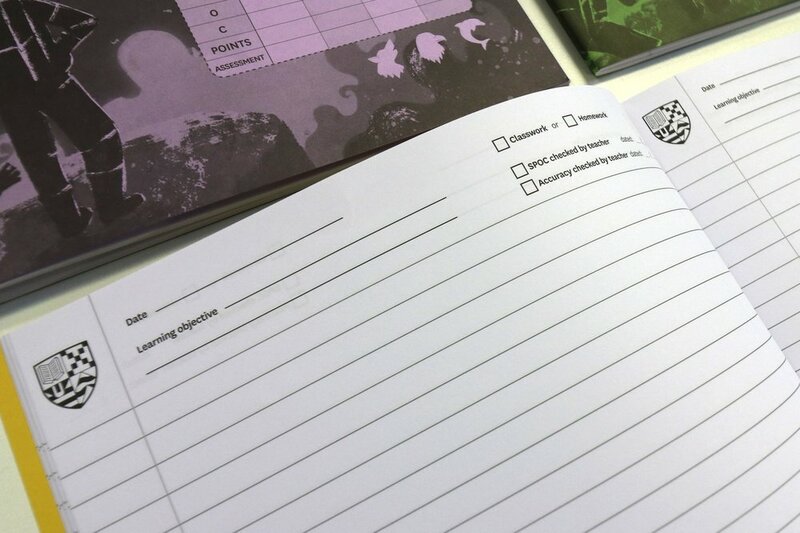 Our standard branded exercise books include up to six content zones, to include extra information that will benefit your students. Once you send us the content we will create the initial design and then work with you to refine it. 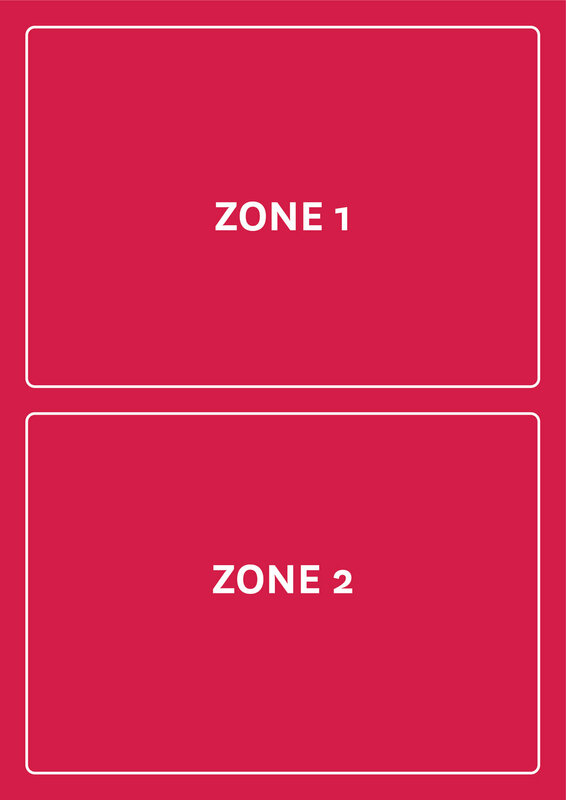 The inner cover designs can use any two of the zone grids shown below. Make your inner pages do more for your students and staff. Our whole range comes with no limits to the number of different inner design variations meaning you can have different inners for each subject. Whether you need inners that are 8mm lined with a margin or a 5mm grid with a spellings table we will design it for you. If you are looking for ideas ask to see the range of existing designs from other schools. We can take any of these and adapt them to your exact needs. We send a PDF proof for you to approve before we print anything.